Stadium Istora in Jakarta, Indonesia will play host to another monumental ONE Championship event on Saturday, 17 November. ONE: WARRIOR’S DREAM boasts some of the biggest names in the world of mixed martial arts, Muay Thai, and kickboxing. 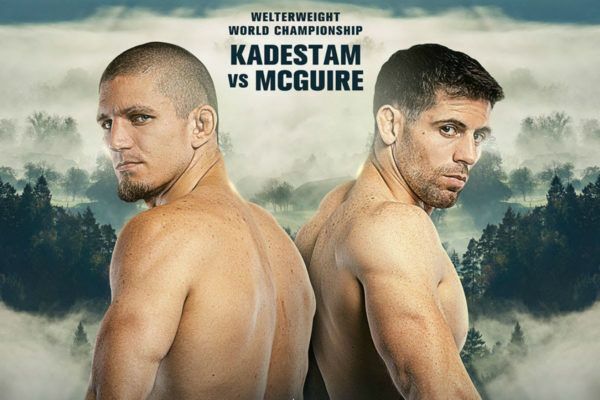 In a truly global main event, Sweden faces the USA to crown a new World Champion, as Zebaztian Kadestam (10-4) meets Tyler McGuire (11-0) in a battle for the vacant ONE Welterweight World Title. The supporting card is bulging at the seams with world-class martial artists, and here is the full rundown of who will feature. A Cosmo Alexandre knee to the liver will have you down for the count! Fans are eagerly anticipating the debut of Nieky “The Natural” Holzken (90-14, 1 NC), who is set to battle Cosmo “Good Boy” Alexandre (69-18-1) in a 78-kilogram catch weight contest. 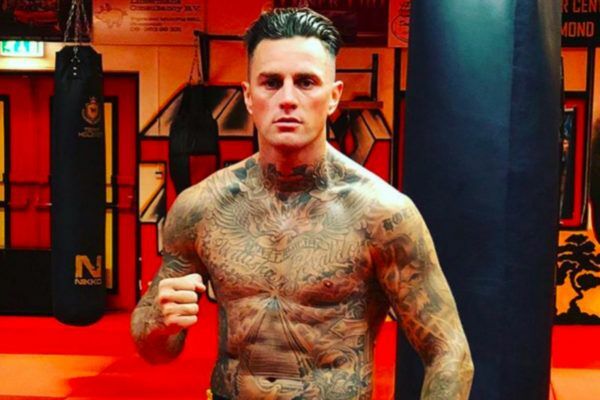 Fresh from a 14-1 run in professional boxing, Holzken will return to kickboxing at the highest level in ONE Super Series. 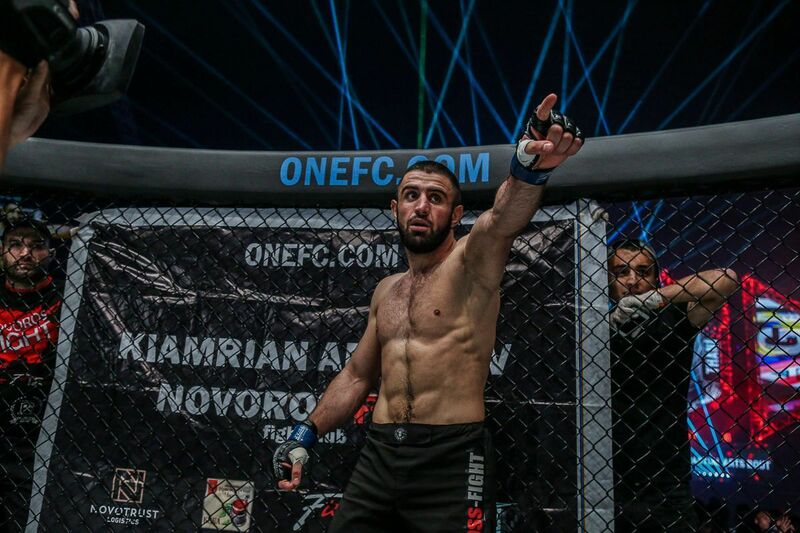 The Dutchman is a Glory and WFCA World Champion, and in 2015 was crowned Kickboxer of the Year after his success in the Glory Welterweight Contender Tournament, which he followed by winning and defending the Glory World Title. Brazil’s Alexandre is a multiple-time world champion in kickboxing and Muay Thai, holding prestigious titles with It’s Showtime, Lion Fight, and W5. In his ONE debut, he had an exciting battle with Australia’s Elliot Compton, which he ended in round two by sensational knockout with a knee to the body. There is an ever-growing, ever-evolving group of elite martial artists coming from Indonesia, and on 17 November we will get to see several of these athletes represent their nation in front of their fans. The evening’s co-main will see Priscilla Hertati Lumban Gaol (4-3) of Jakarta’s Siam Training Camp take on Angelie Sabanal (1-0), a Muay Thai specialist from the Philippines. With five bouts already in 2018, “Thathie” is ONE’s most prolific competitor this year, and she will aim for back-to-back wins in the atomweight division in front of her hometown faithful. 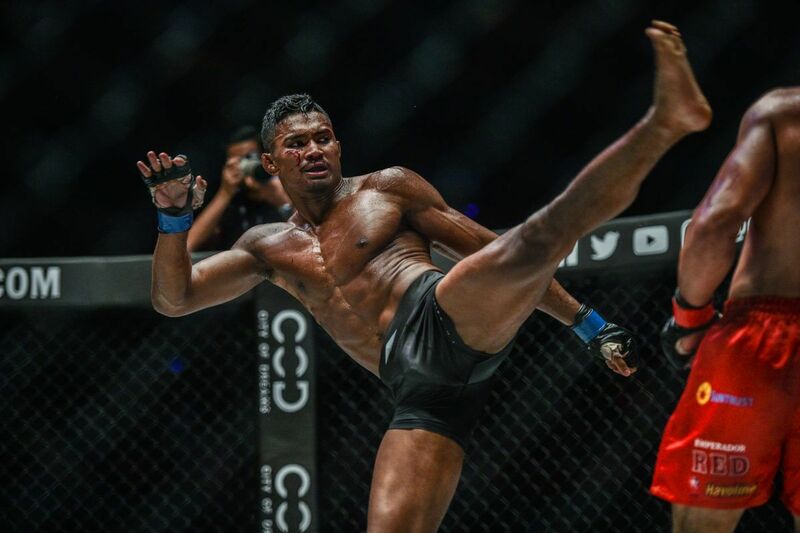 Bali MMA will be represented by wrestling champion Elipitua Siregar (2-0), who has registered two finishes since taking his skills to the cage this year. The 21-year-old, who hails from the capital, is set to step up in competition to meet Muhammad “The Spider” Imran (5-2) – a champion in his home nation of Pakistan. 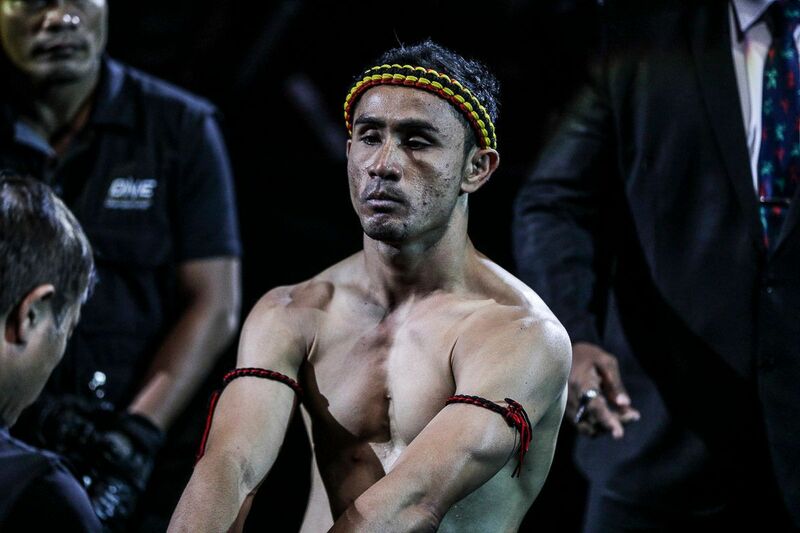 The man with the most bouts in ONE’s strawweight division, Tigershark Academy’s Adrian “Papua Badboy” Mattheis will make the short trip across town to Stadium Istora to take on Indonesian karate champion Aziz Calim (4-2), who will make his debut in the promotion. Mattheis’ teammate Putri Padmi (1-0) will also make her first appearance in ONE against a professional newcomer from Han Academy, Dwi Ani Retno, at atomweight. 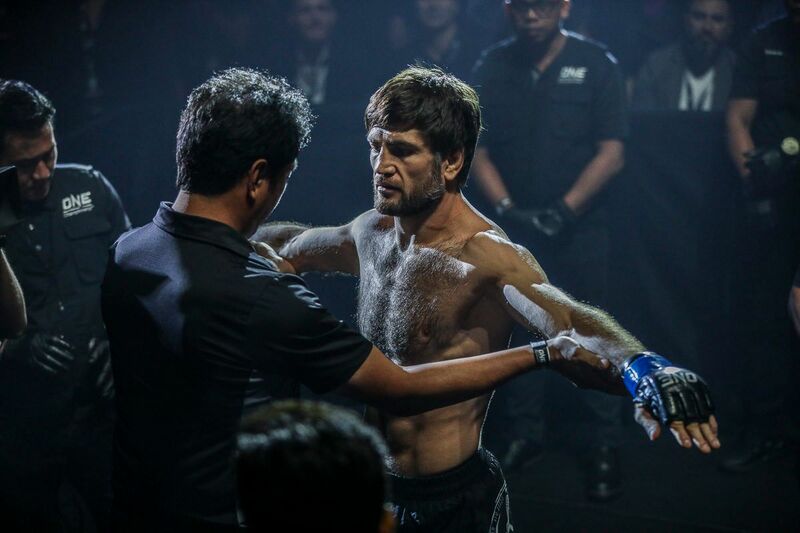 Indogym’s Egi Rozten (4-1) will also hope to extend his winning record at strawweight in his homeland against Eddey “The Clown” Kalai (0-4). Finally, Zach “God’s Warrior” Zane (10-7) will make his promotional debut against the Philippines’ Jimmy “The Silencer” Yabo (5-6). Will Hayato Suzuki stay hot on 17 November? A top contender in one of ONE’s most exciting divisions could emerge for ONE Strawweight World champion Joshua “The Passion” Pacio on 17 November. Hayato Suzuki (19-1-2) made a strong case to compete for the belt with his submission of Rene “The Ilonggo” Catalan at ONE: KINGDOM OF HEROES last month, and he could seal his spot opposite the Filipino in Jakarta. 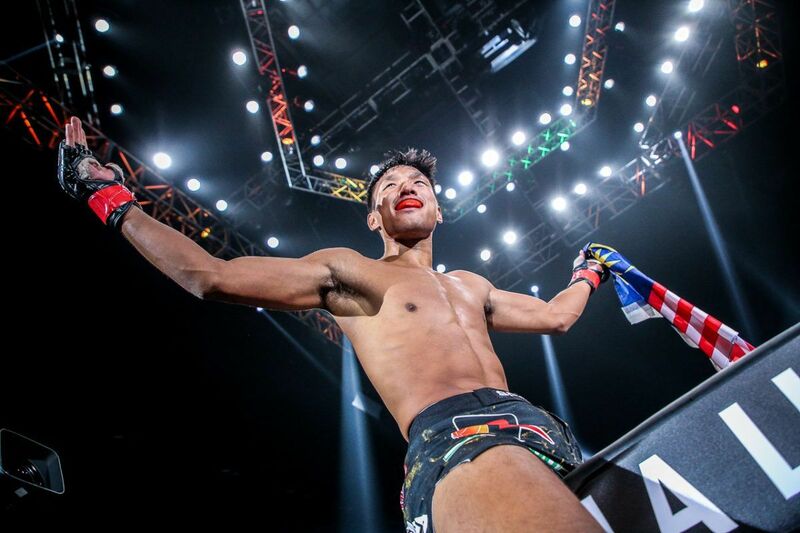 The Japanese athlete – who has already beaten Pacio by submission, will take on Thailand’s Pongsiri “The Smiling Assassin” Mitsatit (9-1) at ONE: WARRIOR’S DREAM. If the 22-year-old Northern Muay Thai Champion of Thailand can stop Suzuki’s rise, he will also jump up in contention for a rematch with the current titleholder. The highly-anticipated rematch goes down on 17 November! Predictions? A remarkable line-up of ONE Super Series Muay Thai contests will add plenty of excitement to the evening of martial arts entertainment. “Mr. 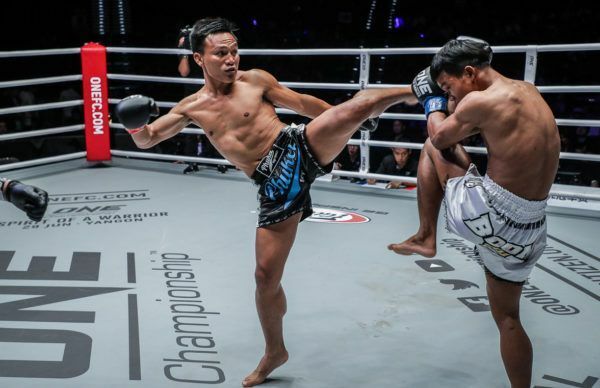 Lightning” Lerdsila Phuket Top Team (187-31-5) and Sok Thy (221-36-12) will meet for a second time following their entertaining bout at ONE: PINNACLE OF POWER in June. The flyweight contenders put on a Muay Thai versus Kun Khmer showcase in Macau that ended with a razor-thin split decision win for Lerdsila. Both men will hope to leave no doubt about the victor in their rematch. Brown Pinas (25-9-1) will also return to action following his sensational bout against Chamuaktong Fightermuaythai in July. He will square off against Johann Fairtex Drai (42-7) – a training partner of Yodsanklai IWE Fairtex and Saemapetch Fairtex – who is seeking his first victory in The Home Of Martial Arts. 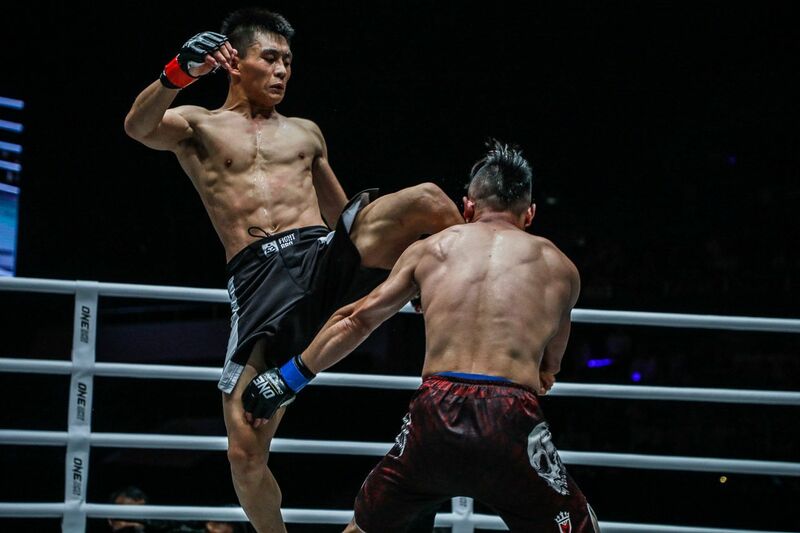 Four more bouts will complete an event that is overflowing with talent, including a clash of veterans as China’s Zhao Zhi Kang (24-4) meets Korea’s “Ottogi” Dae Hwan Kim (13-3-1) in a bantamweight contest. China will also be represented by “White Dragon” Xie Chao (9-4) at featherweight, as he welcomes Brazil’s Bruno “Puccibull” Pucci (5-2) back to the cage for the first time since January for a featherweight contest. Finally, Eugene Toquero (8-6) will also return after a long layoff. The Filipino’s first match-up in more than a year will be a flyweight encounter against Tatsumitsu “The Sweeper” Wada (19-9-2, 1 NC). 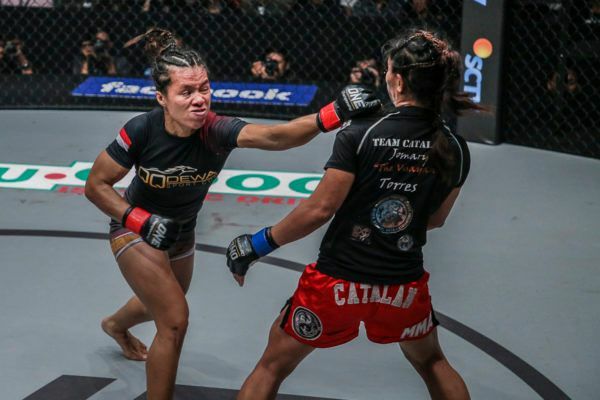 The Indonesia atomweight star remained unbeaten in Jakarta, and scored the biggest win of her career at ONE: CONQUEST OF HEROES.